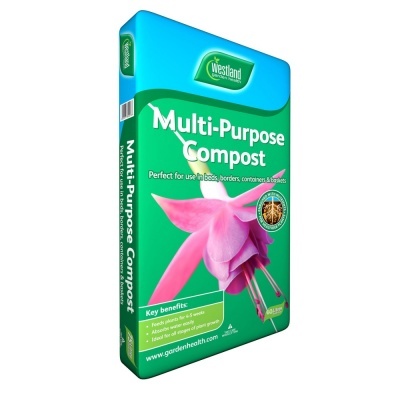 Westland Multi Purpose Compost supplied in a 'special' 60 litre bag is a life partner for growing strong healthy plants. Enriched all purpose compost that contains enough nutrients to feed for 4-5 weeks and absorb water for strong root & plant growth. Versatile all purpose compost suited for use in beds, borders, containers and baskets. Contains a special wetting agent to ease re-wetting and moisture retention for the plants. Provides a good balance of nutrients and trace elements to ensure strong, healthy growth. Suitable for use all around the garden from seed sowing, potting, planting, containers & hanging baskets.